Few pains are as crippling as a severe toothache. Even mild toothaches pulse with pain throughout the day, causing a distraction that prevents you from enjoying your day. If you can’t make the time to see your dentist right away, you need to know how to reduce toothache pain yourself. There are several home remedies that can treat the pain until you’re able to schedule time to see your dentist. Tooth Decay – The most likely cause of tooth ache pain, caused by poor dental care habits. Excessive sugar consumption is one of the leading causes of tooth decay and related toothaches. Bruxism – Teeth grinding can lead to chronic toothache pain and often requires intervention to prevent further damage. Gum Disease – In addition to all the health effects of gum disease, as it advances, you become more likely to experience frequent toothaches. Damaged Filling – If a filling in your mouth becomes damaged, you’ll experience a sharp pain in the tooth that it was protecting. Chipped or Cracked Tooth – Sudden impacts or other injuries to the mouth can leave you with a persistent toothache until repaired by a dentist. One common cause of damage like this is from tongue piercings, so be careful! If you have these additional symptoms, it can be helpful for your dentist to know. This will help them identify the source of your pain and treat it. One of the oldest remedies for reducing toothache pain is a simple rinse with saltwater. The additional salt in your mouth helps raise the pH balance, creating an alkaline environment. This kills bacteria and helps reduce general acidity in your mouth. You can create a saltwater rinse easily by mixing one-half of a teaspoon of salt in warm water. Vigorously swish the rinse in your mouth for a few seconds and then spit it out. Don’t swallow it! In addition to reducing pain, saltwater rinses are effective at fighting inflammation and infection. The reduction in your mouth’s bacteria keeps it cleaner. Because of this, saltwater rinses are often recommended after minor dental surgery. If your toothache pain is caused by a cracked tooth or loose filling, a piece of dental wax can help you manage your tooth’s sensitivity until you get to the dentist. If you or a family member is currently undergoing orthodontic treatment, you may have some in your home. You can also buy it over-the-counter at most drug stores. This short-term solution can dramatically decrease the pain you’ll feel while you wait to get the tooth repaired. 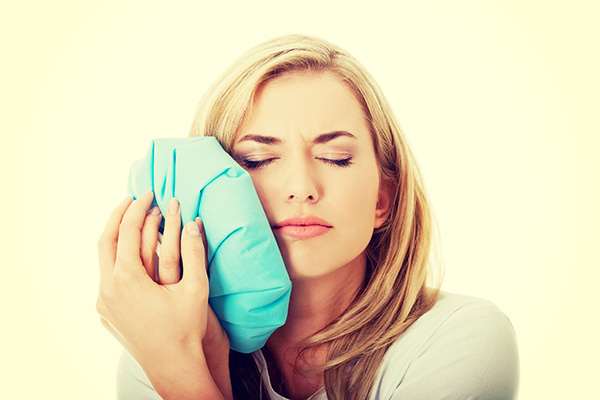 If you ask anyone how to reduce toothache pain, one of the most common responses will be a cold compress. It’s a traditional treatment that’s easy to do and offers a surprising amount of relief. Apply the compress to the outside of your cheek where the toothache is. Leave it there for a few minutes, and then take it off for a few minutes. Repeat this as necessary. Don’t try to apply the compress directly to your tooth! Most aching teeth are sensitive to hot and cold temperatures, so if you touch it with the compress, you may feel a jolt of pain. You can also use ice wrapped in a cloth for a similar effect. 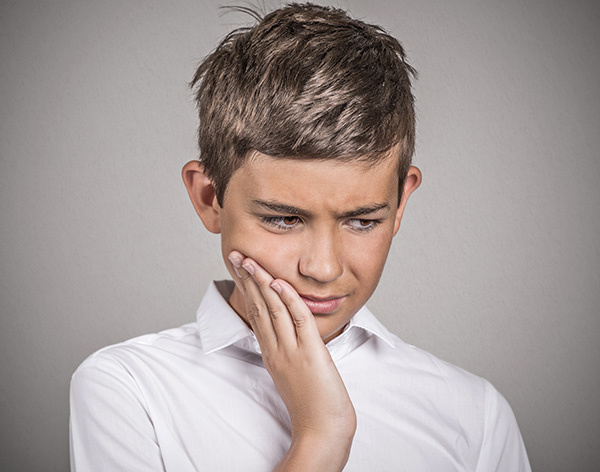 The goal is to help treat the swelling and inflammation associated with your toothache pain. As you apply the cold cloth to the affected area, you should notice the pain subsiding – even if it doesn’t completely disappear. Standard Pain Relievers – Anti-inflammatories and pain reducers like aspirin or acetaminophen can help reduce pain and inflammation. Oral Gels – Some over-the-counter gels are designed specifically to help anesthetize your teeth and gums using ingredients like benzocaine. In either case, these options are effective, and most homes will always have at least one type of pain reliever on hand. Just remember to follow the directions on the bottle! Knowing how to reduce toothache pain is helpful, but it’s even better to know how to prevent it entirely! If you practice an excellent oral health routine that includes brushing, flossing and visiting your dentist at least every six months, your chances of developing toothaches will decrease dramatically. You can’t always prevent impact and accident related tooth pains, but tooth decay, gum disease and other long-term risks to your teeth can be prevented or identified early. You may brush well, but it’s also important to keep up with your flossing. Toothaches commonly occur due to decay in those hard-to-reach places between your teeth that brushes can’t clean. If it’s been a while since your last trip to the dentist, contact Walbridge Dental today to schedule an appointment! This entry was posted in Dental Tips, Kids Oral Health, Preventative Dental Care and tagged oral health, Tooth Decay, Toothache. Bookmark the permalink. Follow any comments here with the RSS feed for this post. Both comments and trackbacks are currently closed.